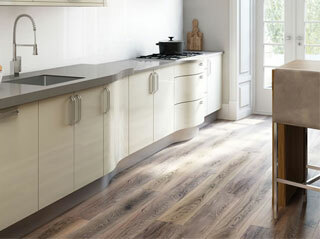 Home » Customer Questions » Lay the floor or fit the kitchen first? Some people ask the question, “should I lay the floor or install the kitchen units first then lay the floor around them?” This decision is purely down to personal preference. Laying the floor first would appear to be the best option but you are much more likely to damage the floor whilst the kitchen is being assembled. The best thing to do would be to build the kitchen up first, lay the flooring and then attach the plinths at the bottom of the units last, to hide any imperfections from the cutting of the flooring. You will still get a seamless finish and the flooring will be clean & damage free. 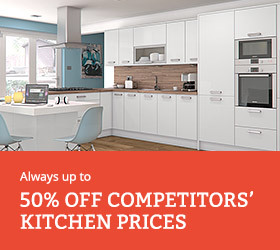 You’ll also save yourself some money, as you’ll need to spend about 1/3 less on floor coverings, as a lot of the kitchen floor will never be seen again and be hidden under base units. 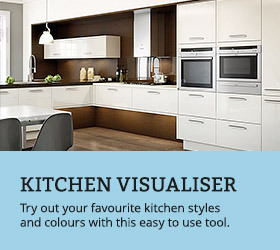 Just make sure that you know exactly how your kitchen will look and that you’ll be happy with it for years to come. 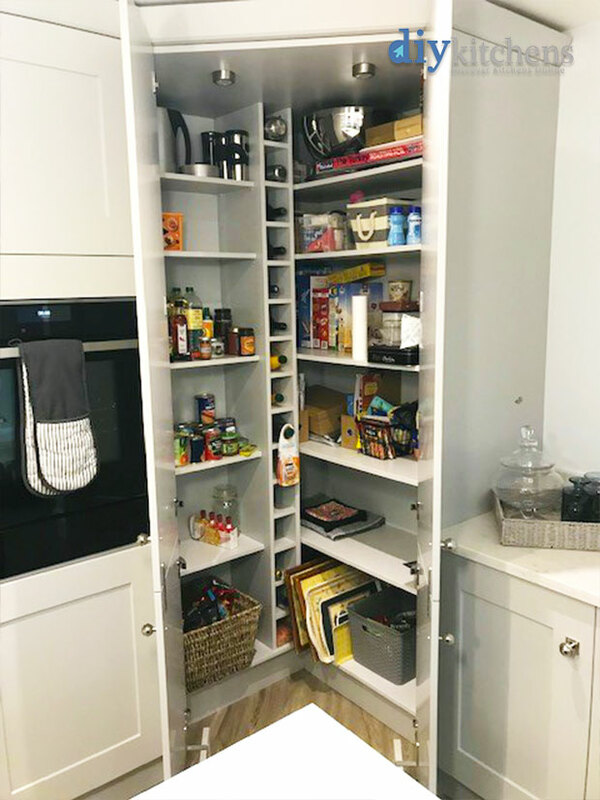 If you decide to take some cupboards out at any point to put in the likes of an American fridge then you’ll have to get some more flooring and line them all up (not easy to do if it is laminate flooring!) Also bear in mind that floor tiles can discolour over time, so your new tiles laid side by side, could look a bit odd. 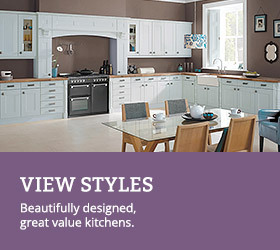 Now you’ve thought about the flooring, it’s now time to think about your new kitchen! 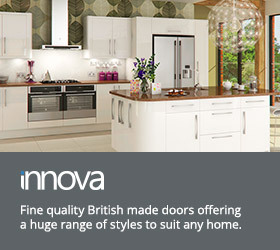 Which kitchens have curved doors available? can you supply units of reduced depth? Hi, reduced depth units are available on our website below. “The cabinet legs can be adjusted +10mm higher and -20mm lower”. We had the same problem and decided that we had to fit 6mm ply so that we could get enough height adjustment. If your answer is correct, it means that we did not have to fit ply. 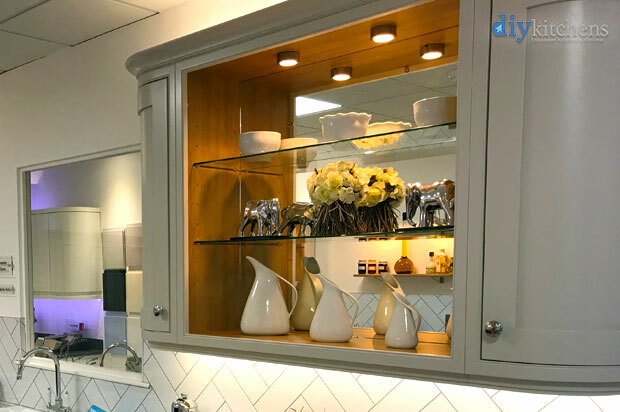 Hi, the default height of our legs is 150mm but the legs on our kitchen units will adjust down to 140mm or up to 170mm. In that case, you need to correct your Technical Guide. Giving the range you stated above is much clearer than giving +- values. Hi, the Technical Guide is being updated and all future printed copies of this will be much clearer. Thank you for the feedback. can the unit legs go higher than 150mm? because, if I put the units in, then the floor & finally 150mm plinths, then they wouldn’t fit because of the floor thickness? The legs on our kitchen units will adjust from 140mm to 170mm. how deep is the microwave wall unit? The wall units are all 300mm deep.